FIRST Robotics Competition | William A. Kibbe & Associates, Inc. 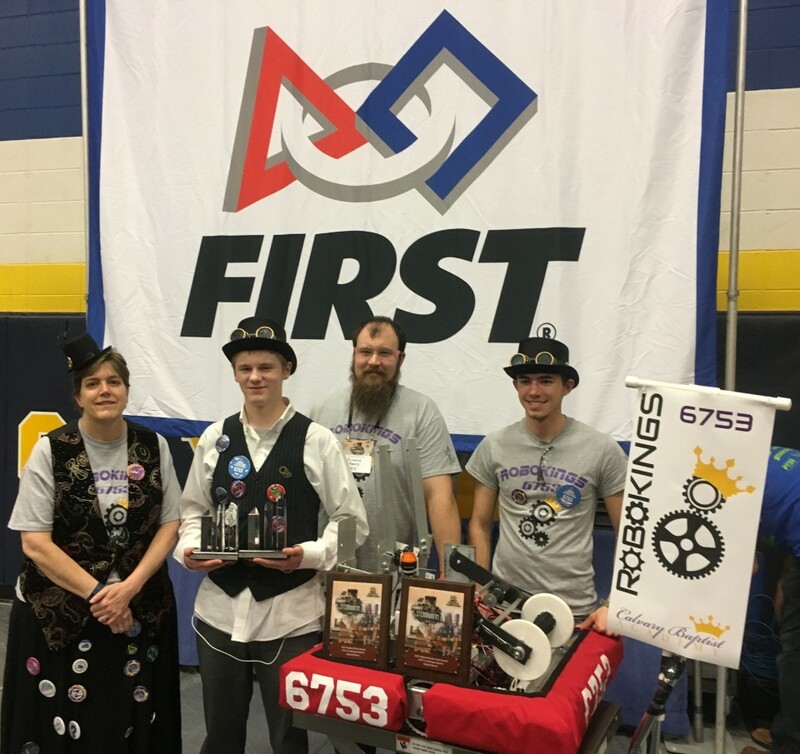 The For Inspiration & Recognition of Science & Technology (FIRST) in Michigan Robotics statewide competition took place April 12-15, 2017, at SVSU drawing thousands of people in support of the participating high school teams and their impressive handmade robots. The competition aims to inspire students to explore STEM fields (science, technology, engineering, and math) by way of designing and building customized remote-controlled robots ready for battle in themed competitions that combine the excitement of sport through science and technology. The 2017 competition, FIRST STEAMWORKS, featured 160 high school teams. 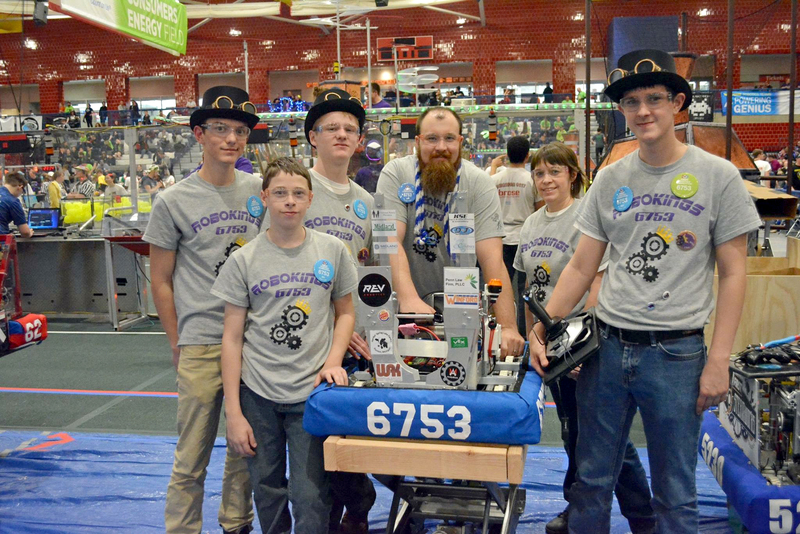 Prior to the competition, each team worked alongside mentoring professional engineers for six weeks while learning and using sophisticated software to develop and design unique 120-pound robots. FIRST was founded in 1989 with a mission, ”To inspire young people to be science and technology leaders, by engaging them in exciting Mentor-based programs that build science, engineering, and technology skills, that inspire innovation, and that foster well-rounded life capabilities including self-confidence, communication, and leadership.” These ideals are important to impart on the next generation of our fellow engineers, architects, and designers. 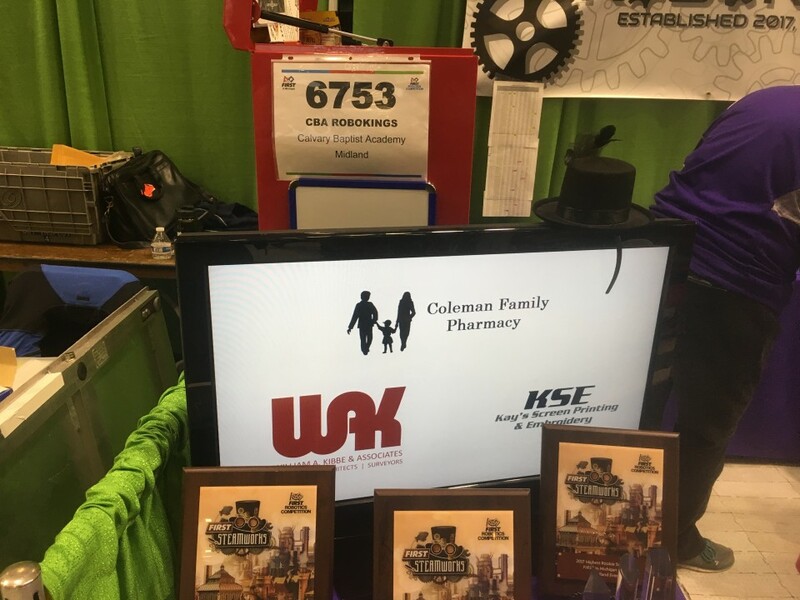 William A. Kibbe & Associates (WAK) was a proud sponsor of team #6753, the RoboKings of Midland Calvary Baptist Academy, and we support FIRST’s mission of encouraging the exploration of science, engineering, and technology. WAK architect, Jeff Haines’ son, Noah, is a member of the Rookie Award-winning RoboKings, and we’re looking forward to cheering on the team as they head to the world championship that will take place in St. Louis, MO, April 26-29, 2017.